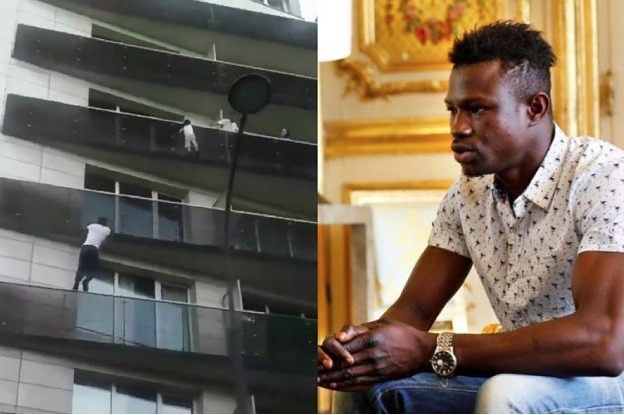 When Mamoudou Gassama, a 22-year-old immigrant, saw a baby precariously hanging from the balcony of a building in Paris’s 18th District, he did not hesitate to help. In record time, he scaled four floors and made a dramatic rescue in front of a crowd of flabbergasted onlookers. Videos of the achievement immediately beamed around the world, while the French President Emmanuel Macron did not miss the opportunity to have his picture taken with the hero. A few days after the fearless action, the undocumented migrant from Mali received a decoration from Macron, who assured him that he would receive French citizenship and the opportunity to work for the Paris Fire Brigade. It is undeniable that the prowess of Gassama was extraordinary and that his generosity deserves recognition. But that was not the first time that the Malian man had risked his own life: in the journey he faced to reach European soil, he crossed the Niger desert, suffered harsh conditions in Libya and ventured on a perilous voyage across the Mediterranean Sea. Similarly, thousands of migrants throw themselves into the unknown in search of a better life in Europe, where they are met by ever stricter anti immigration policies. For this reason, the image of Macron with Gassama in the Elysee Palace contrasts with his policies; ever since he came to power, the French President has tightened immigration laws with measures such as accelerating expulsion proceedings and increasing the time in which a person may be held at an immigration detention centre before being deported from 45 to 90 days. The fact that more than 300,000 immigrants remain in an irregular situation lays bare Macron’s hypocrisy. At the same time as the French authorities give a prize to the „Spiderman of the 18th District“, they continually fail in granting residency permits to other migrants. Macron’s gesture is therefore a narrow sighted solution that points to a structural question: without heroic acts that benefit a country and prove the ‚humanity‘ behind those we label as refugees, obtaining citizenship in France as in other European countries is becoming increasingly difficult.